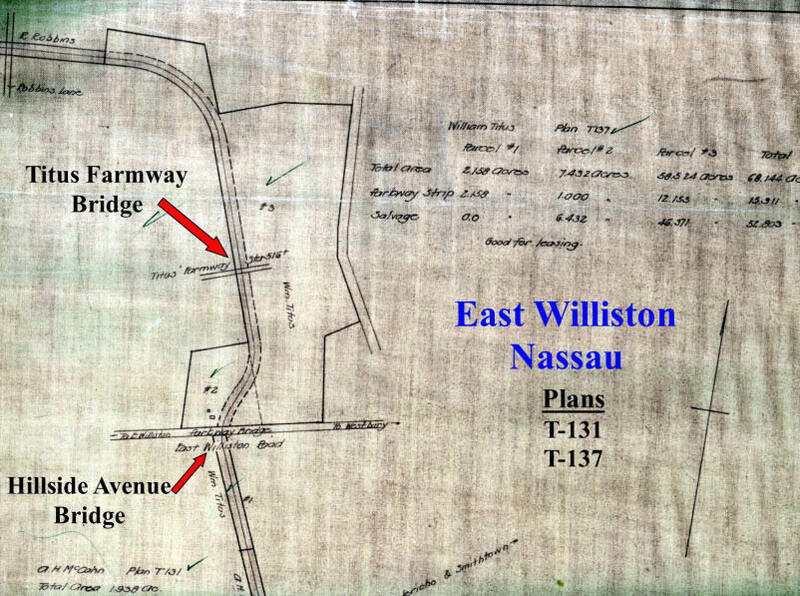 The property for the bridge embankments were purchased from William Titus and Timothy Tredwell. 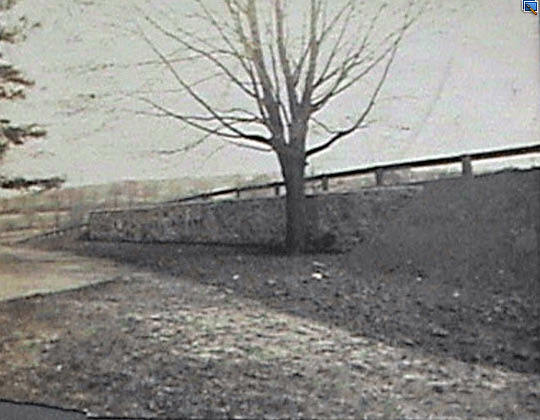 Looking north-east, this was a ground image of the north embankment. 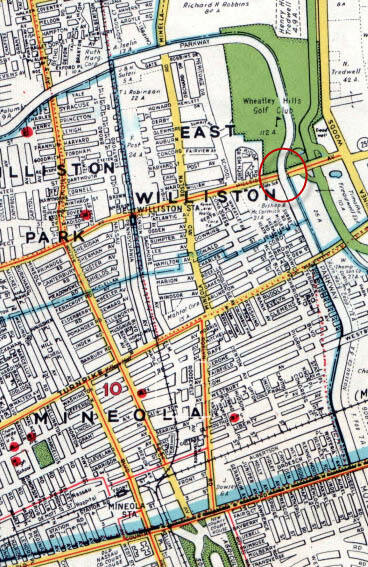 The original name for Hillside Avenue was East Williston Avenue. 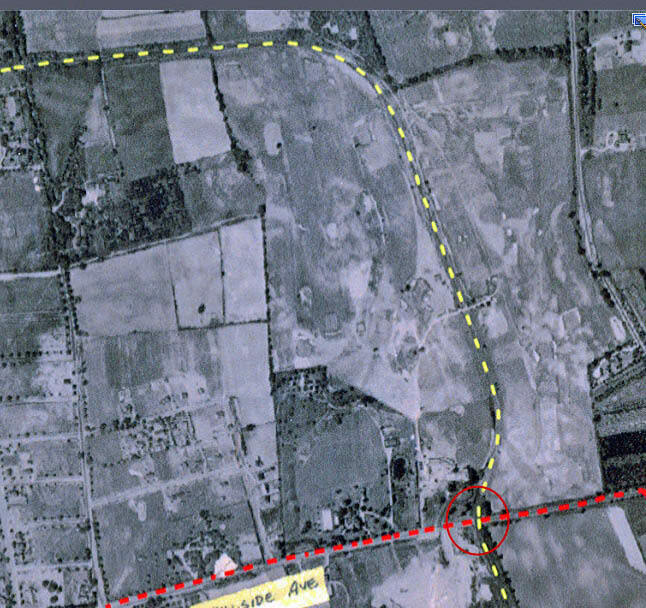 Aerial view showing the bridge location south of Wheatley Hills Golf Club. 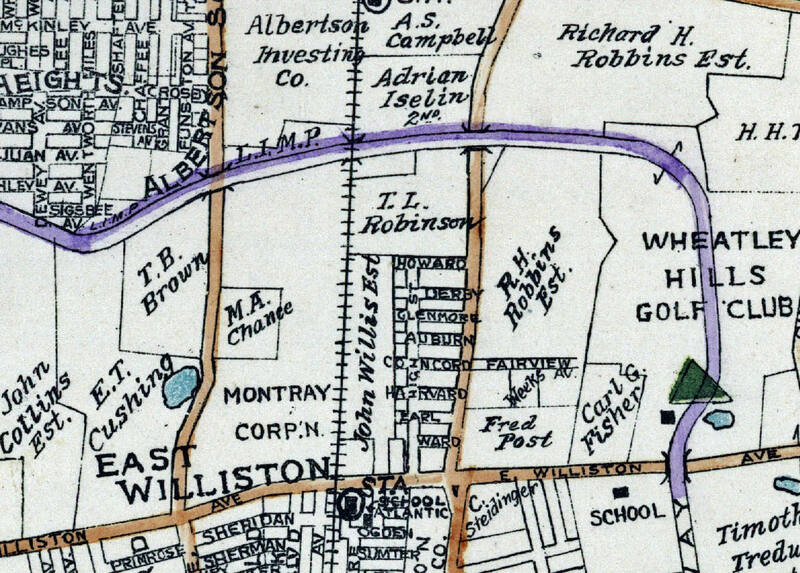 Note the directional signs: "To E. Williston" and "To Westbury". 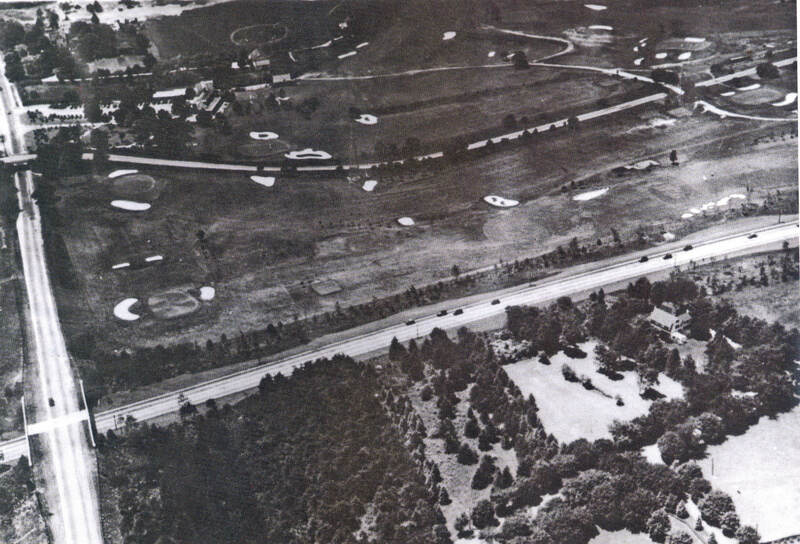 Discovered by my favorite co-author Al Velocci, this aerial looking west shows Wheatley Hills Golf Club. 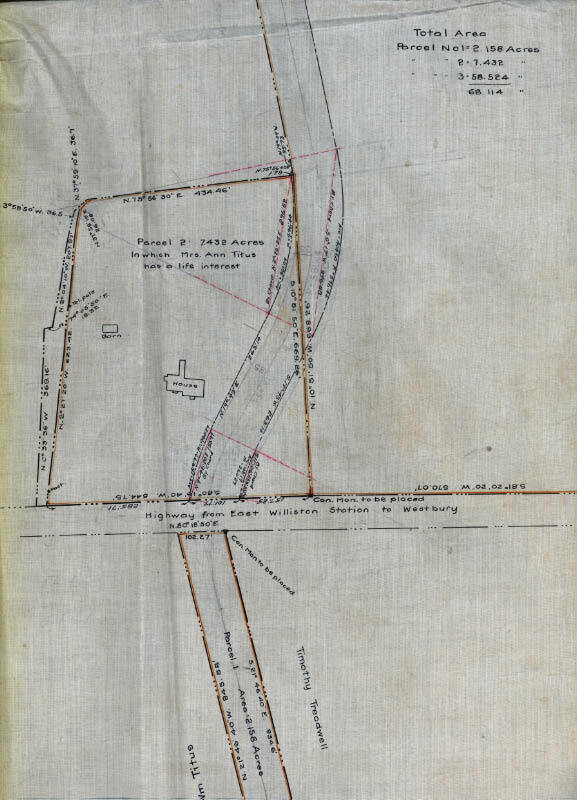 Northern State Parkway can be seen on the bottom with the Motor Parkway further west. The Hillside Avenue Parkway Bridge is on the far left with the Wheatley Hills Golfway Bridge on the right. 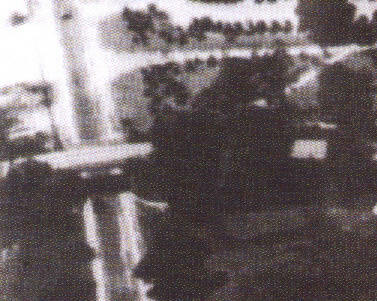 This close-up of the aerial is the best known record of the bridge. 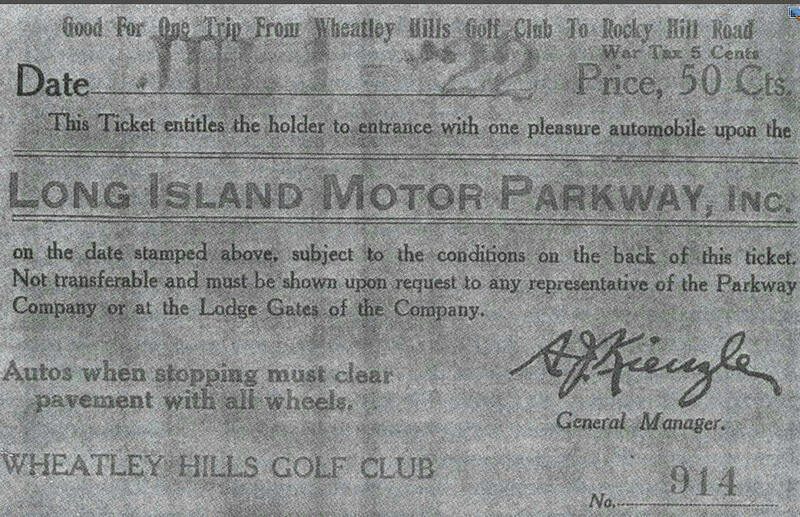 Members of the Wheatley Hills Golf Club bought their passes to the Motor Parkway in the clubhouse. 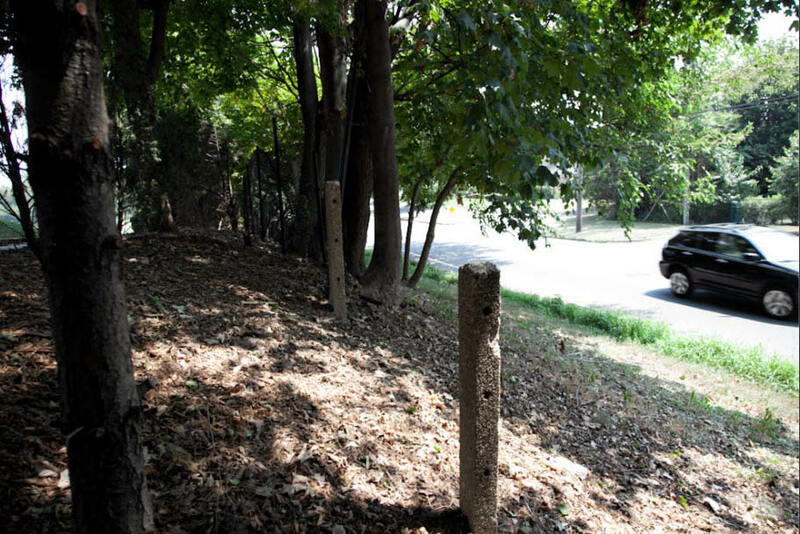 Remnants of the north embankment can still be seen today ...marked by several replanted Motor Parkway concrete posts. 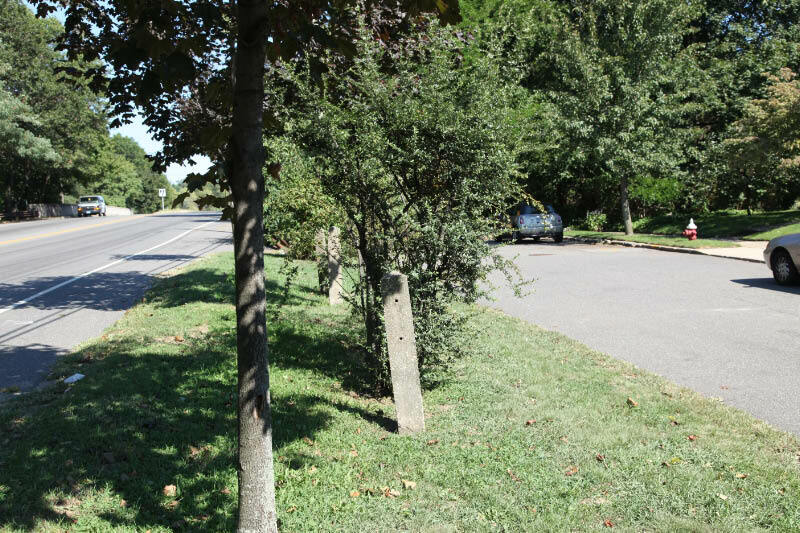 More replanted concrete posts have been placed on the south side of Hillside Avenue just east of the Motor Parkway right-of-way. I’m back again Howard Never thought I would find something new on the site,you are amazing about keeping us all updated on everything,you don’t miss a thing do you,even though we know about it,it’s history in the making and some of your readers don’t know about it,so till next time keep well.